Don’t want to make your phone bulky or heavy with adding some bulky case on your phone? Take a look at these ten slim and minimalistic slim cases for your brand new Google Pixel 2 XL. Even though the cases are the best protection to your Google Pixel 2 XL and protect the phone from damages. We know many of you may not love to use the case because of the amount bulk it add to the expensive phone. But still, if you are looking for the best alternative to those bulky cases the only solution is slim cases. You can now here get few great slim cases that are rather keeping only the sleek profile they can get even safeguard your phone at the same time. We have tested many of the product, and then we have decided to present the given below slim cases. Listed here are tested well. We have added picks that keep the phone compact, and most of them are squeeze function compatible and protective case. Here we are offering a simple designed case from Caseology. The case feels great, and the slim profile of the case for the Google Pixel 2 XL phone makes it worth to take a look. While testing the case with all the necessary functions the case even offers reliable protection function. The slim case for Google Pixel 2 XL is made from thin but protective TPU material. The soft TPU material makes this slim case lightweight and durable while protecting your phone from shocks and minor drops. This vault series case maintains the sleekness of the Google Pixel 2 XL smartphone. The case offers the three-dimensional textured case that makes it excellent for the extra grip and optimized shock absorption. There are also raised bezel for the protection of the screen and rear camera. The case is specially designed for the Google Pixel 2 XL so that it is obvious the case comes with precise cuts for the ports and other functions of the phone. The case always stays lightweight and pocket-friendly while guarding the phone against scratches and scrapes. Shock absorbing and rugged impact protection. Extra grip and optimized shock absorption. Precise cuts and raised lip protection. This is one of the great cases that fit exceptionally well. All the button pads line up very well. It holds the phone very snugly. The cutouts of this case offer easy access to all the ports. This case has no grip at all. 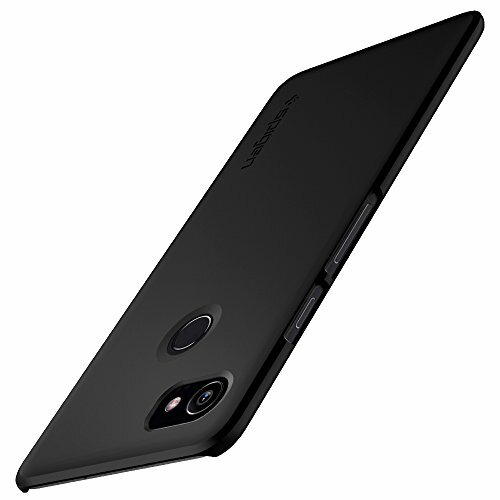 While researching for the slim but protective case, we have come across one slim case from one of the reputed brand Spigen. As the brand always there to offer the best of their along with their product for the smart devices, the brand now offers the slim case for the Google Pixel 2 XL smartphone. The case is made from the PC material that not only makes this case slim also make it sturdy and durable. This case is also magnetic car mounts compatible with the QNMP slot. The lightweight and pocket-friendly design of this case make it much easier for you to carry your phone around with you along with all ease. It comes with precise cuts for all the ports and buttons of the phone and the opening for the buttons offers natural click and response too with quick accessibility. The case will keep your phone scratch free and scrape free as well. Scratch resistant PC slim case. Magnetic car mounts compatible with QNMP slot. Open buttons offer natural click response. This case is slim, but it is sturdy. It fits the phone well. It is sleek and functional slim fit. The coating feels nice to touch. The case is little slippery. It fights against minimal impacts. 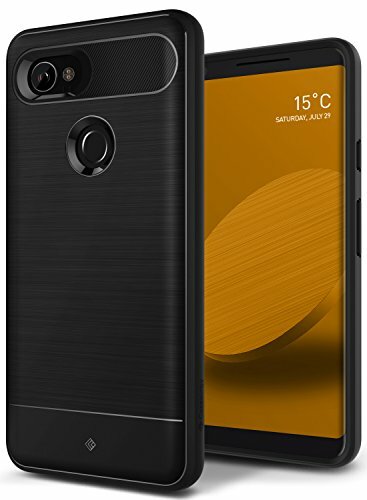 The LK brand offers one of the best slim cases that we have tested for Google Pixel 2 XL smartphone. 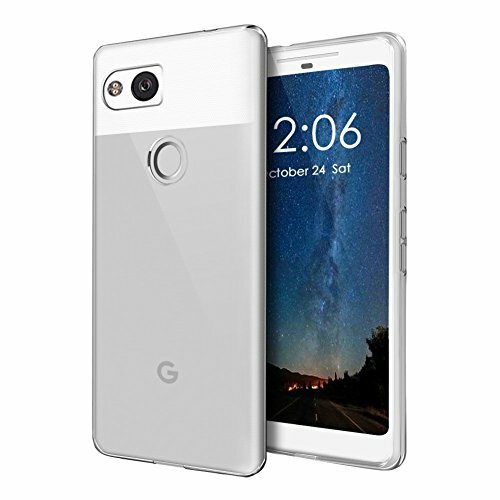 Like most of the other brand listed here that offers precisely made a slim case for the Google Pixel 2 XL smartphone, LK also offers accurately made the slim case for the Pixel 2 XL that offers a perfect fit. While the case is just made for Google Pixel 2 XL smartphone, the case comes with precise cuts and those built-in openings are well cut for all the ports and functions of the phone. This case is made from shock-absorbent TPU material that keeps the case ultra-thin as well as flexible to install it with all ease. This lightweight, smooth, flexible and high-quality slim case offers the maximum protection from scratches, scrapes and shatter. Even if it is the slim case, it comes with some unique design that makes it anti-slip. Ultra-thin case but offers maximum protection. Smooth, flexible and high-quality protection. Unique design that provides the anti-slip design. The cuts line up well with the ports. The case feels good while holding them in a palm. It is compatible with the squeeze function. This case offers a little glossy look. It provides minimal protection to the phone. The case is very slippery. In the variety of the slim case, many users love to keep their smartphone’s look as it is. There are many options that you can find on our list of clear cases options for the Google Pixel 2 XL. But if you are one of those who merely wants a slim but clear case that you can feel just like a part of your smartphone then this ultra-slim case from OEAGO is the best option. The OEAGO ultra slim case is made TPU material that offers sleek and lightweight design. This case has added some of the benefits of the ports and the power and volume button that not only protects the phone but also offers easy access to them. The slim case offers protection from drops, knocks, scrapes, and scratches. Besides only that the case also offers protection from shatter. Hence, you have here the best protective slim case option that offers ultra-thin profile with the exceptionally slim body. Flexible TPU gel rubber soft skin silicone. Protection from shock, shatter and scratch. Ultra-thin with the exceptionally slim body. Lightweight design and maximum security. It works great and perfect. This case looks great on the phone. It comes at great price. With a snug fit, it almost feels like part of the phone. It is said to be slimmest, but still, this case is little thick. The back of this case quickly can get scratched. With the affordable price, the Vinve come with the slim case just for the Google Pixel 2 XL phone. Along with the attractive design, the case has been providing the appealing look to the Google Pixel 2 XL smartphone. With all the professional look and design of the case, you can make your phone look stand out for sure. 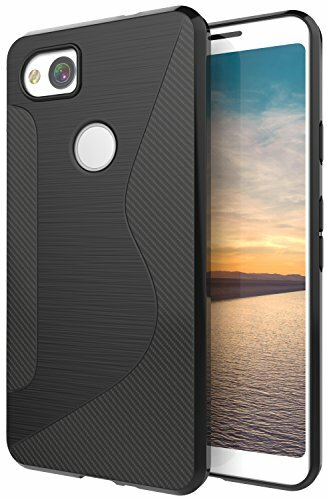 The case is made from soft TPU material that offers carbon fiber-like look on the back of the case. While the case is always ready to provide the reliable protection from scratches, dirt, dust, and bumps. With the unique design, is constructed to offer the dynamic aesthetics which is capable of to give some extra grip while holding it. Apart from that you can have anti-fingerprint construction and can also enjoy great elegant, generous and modern designs on the case. The attractive design on the back of the case makes it easily slide in or out of the pocket. High-quality TPU material made the case. The material is like carbon fiber. Protects the phone from scratches, dirt, dust, and bumps. Unique design for easy access. Dynamic aesthetics and subtle wiredrawing pattern design. Easy slide in or out of the pocket. It works with the active edge means Squeeze feature of the phone. All the ports are easily accessible and visible too. The phone can be well protected in the event of a drop from the back side. It is not that much protected from the front in case of while it is a face fall drop. Here we have a slim case from Maxboost’s mSnap series. 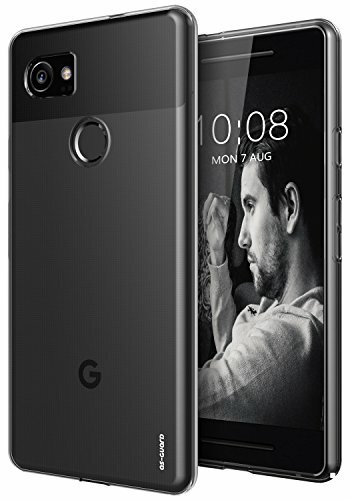 The slim case for Google Pixel 2 XL nearly similar to the above listed slim case. The reason is this phone case is not a transparent case like OEAGOs slim case. This case comes in all black construction with all eye-catching yet simple smooth finish. The sleek and flawless design of the case provides a stunning look to Google Pixel 2 XL. This durable and sturdy but slim case is made from sturdy PC material that minimizes the bulk while providing the maximum protection and probability as well. The case comes with hidden corners and raised edges around the phone screen and rear camera too. So overall this case gives 360-degrees protection. 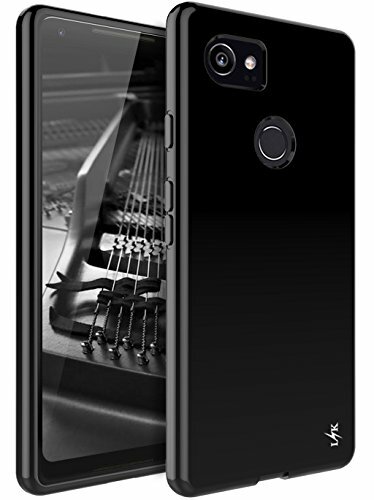 With the perfect and a slim fit, the case offers premium smooth matte finish coating for the soft and smooth touch feel while holding the phone in this case. With the stunning look, the brand offers a lifetime warranty. Thin but sturdy PC material. Minimizes the bulk and maximizes the portability. Covered corners and raised edge. This case is scratch resistant and offers protection from daily wear and tear. This case supports active edge function. It is simple yet adds an elegant look. It doesn’t add that much bulk. It is tough to take off. While the taking of it may scratch the phone. The As-Guard offers a perfect fit slim case for Google Pixel 2 XL. 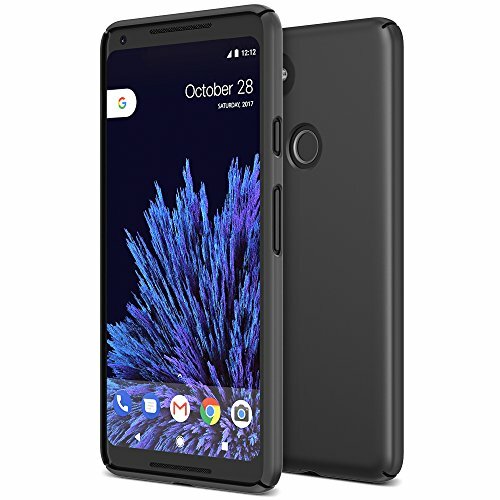 This is another best pick for the simple and inexpensive protection for the Pixel 2 XL from the brand As-Guard. 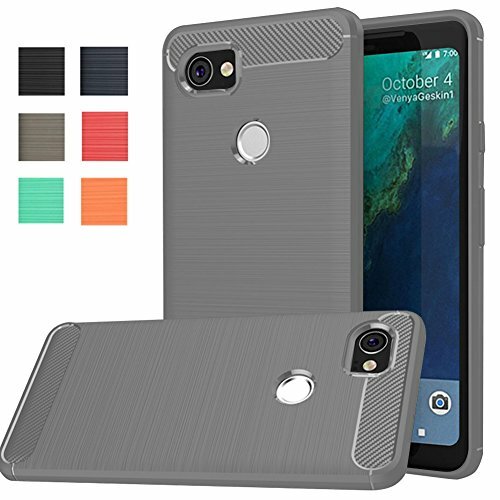 With some fabulous functions of the case that we have found during the testing of the case we have decided to list this case for Google Pixel 2 XL slim case collection. This case is made with flexible TPU gel material which keeps the case shock absorbent and scratch resistant at the same time. It protects the phone accident drops and shocks. It comes with Dotted texture interior to prevent the air bubbles from the back of the phone while keeping the color of the phone as it is. As it offers precise cuts, openings and tactile buttons for complete protection to the phone’s functions. Overall with the slim profile, the case maintains the phone look as it is while protecting it at the same time. Flexible TPU Gel material made the case. Shock absorbent as well as scratch resistant. Prevents air bubbles at the back of the phone. Easy and quick access ports and buttons. The case offers a glossy look of attractiveness. It comes at a low cost as well. It maintains the sleek phone profile well. The edges of the case don’t wrap the screen at all. It is a little bit slippery. 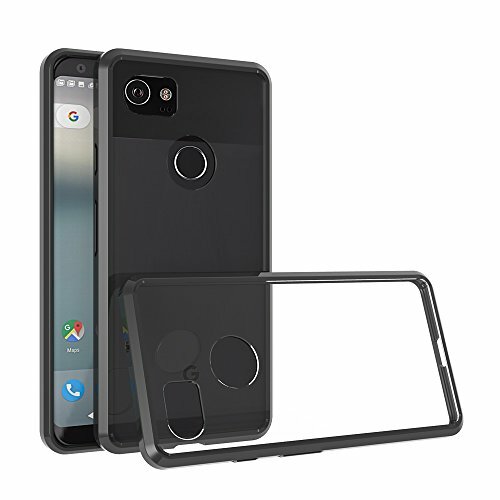 We have listed slim cases for the Google Pixel 2 XL phone, now with the SLMY slim case, the brand offers one of the great slim protective options for the Pixel 2 XL phone. This case is made from flexible TPU material that keeps the phone ultra-thin with the exceptionally slim body. The case also feels smooth, high-quality and robust while holding it in palms. It is resistant to the dirt and stain and talks about the design, well, it offers a unique design for sleek and lightweight. The sides of the case are anti-slip, and it even offers raised edges for screen and camera protection. Flexible TPU made the case. Unique design, sleek and lightweight. Raised edges recess the screen. It looks professional while protecting the phone. It keeps the phone lightweight. This case has little noticeable injection molding mark. Here we have a slim case from Pixel 2 XL that offers absolute protection against the heavy-duty impact as well. Suensan which is very well known for its great accessories for the smart devices the brand provide a slim case for the Google Pixel 2 XL smartphone. The case is made from shock absorbent TPU that offers refined design and Military-grade protection to your valuable smartphone. While the texture of the case offers comfortable and natural grip of the phone. With the raised edges the brand offers complete protection to the phone screen and rear camera as well. The case offers precise cuts and opening for the phone ports and functions of the phone. Refined design with shock absorbent TPU. Accurate cuts and easy installation. It doesn’t loose or too tight. The flexibility makes the installation easy. It fits the phone snugly. The air cushion technology offers the best protection. The cuts are a little bit off. It is not even blatantly as well. 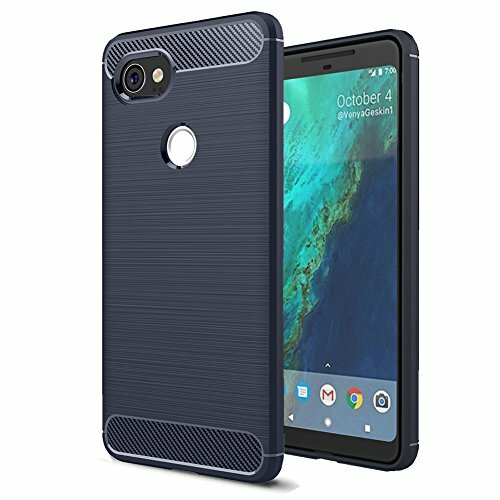 Drental offers another perfect slim case for the Google Pixel 2 XL smartphone. This case made from TPU and carbon fiber material that keeps the phone case flexible and smooth to install. Hence, at the time of application, it won’t scratch the phone. The case comes with brushed texture with the unique design, and it protects the phone from drops and shocks. The smooth, slim and lightweight profile of the case makes the phone look stand out from the crowd for sure. And the brand offers 30 days replacement or warranty or refund period as well. Carbon fiber and TPU rubber material. Protects from drops and shocks. Smooth, slim and light in weight. 30 days warranty/ replacement/ refund. It is an excellent fit and feels useful in the palm. This is the perfect lightweight case. The construction quality is excellent. It protects the phone from minor drops. Don’t just wait after going through the list of these slim case for Google Pixel 2 XL just go for the one that suits your needs.